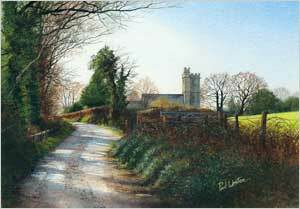 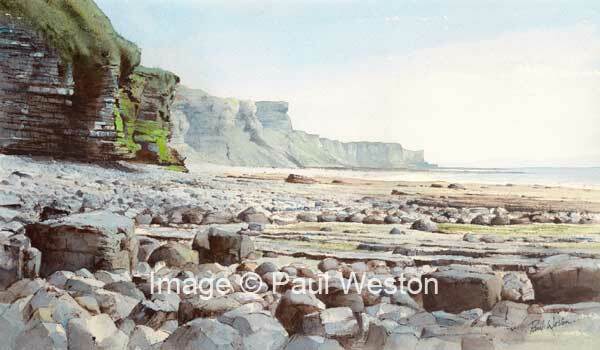 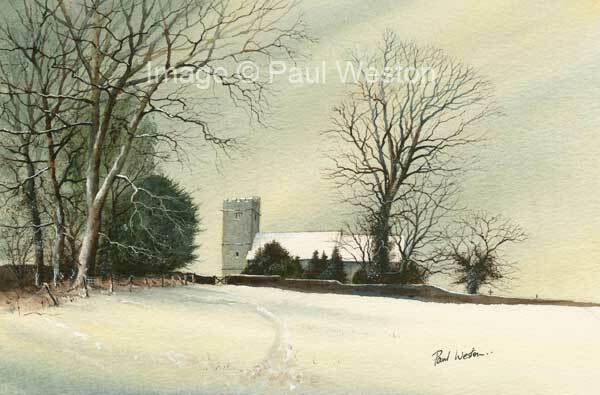 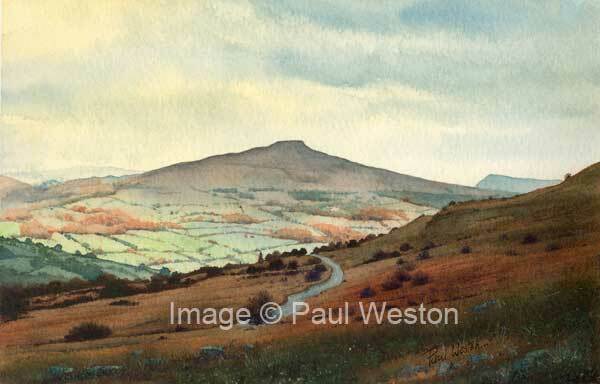 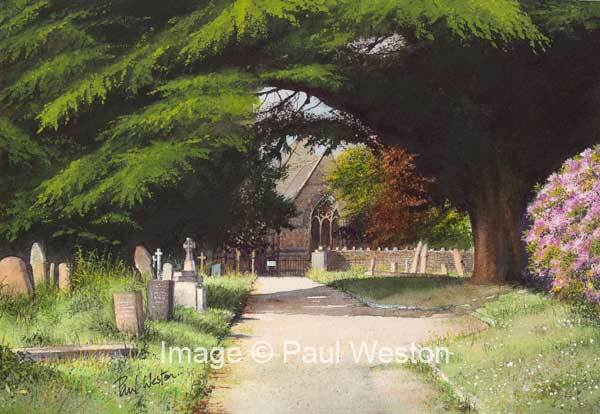 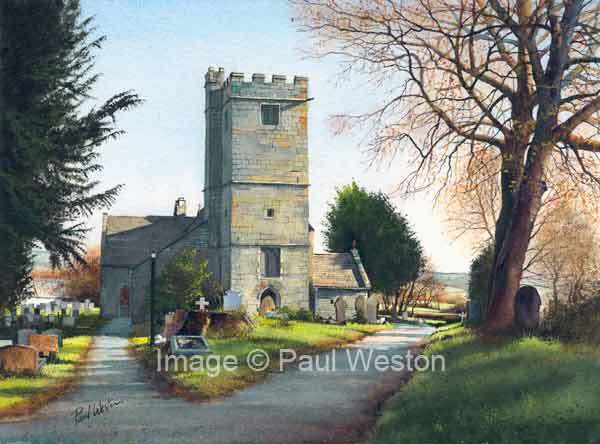 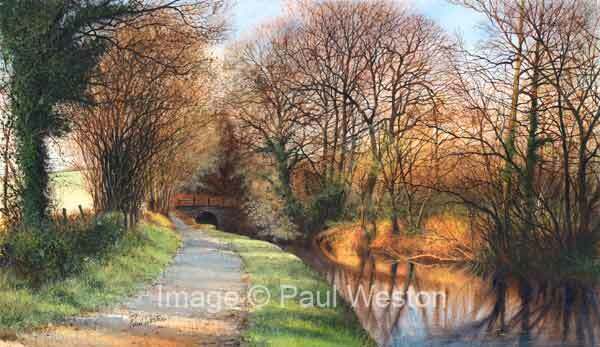 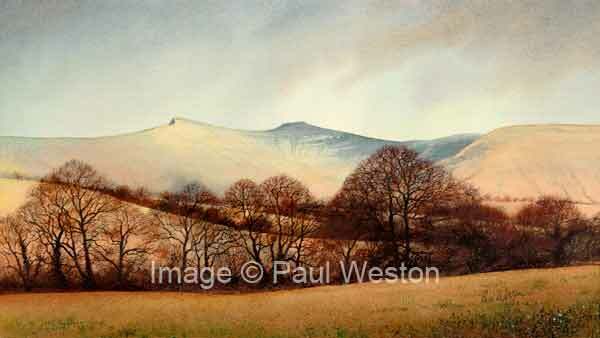 On this page: limited edition prints from original watercolours by Paul Weston. 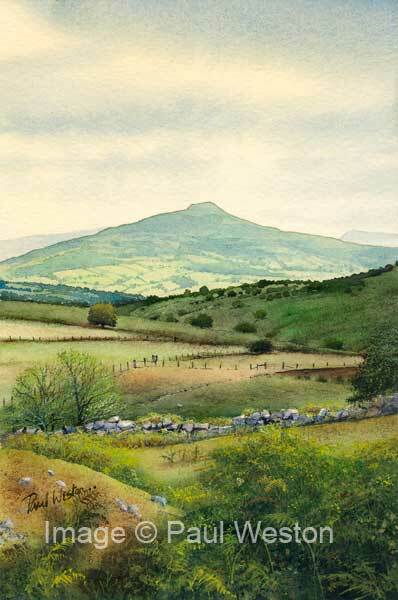 The gallery includes scenes from the Brecon and Monmouthshire canal, ancient churches in south Wales, the Transporter Bridge in Newport, the South Glamorgan coast and striking landscapes of the Brecon Beacons and Sugarloaf mountains. 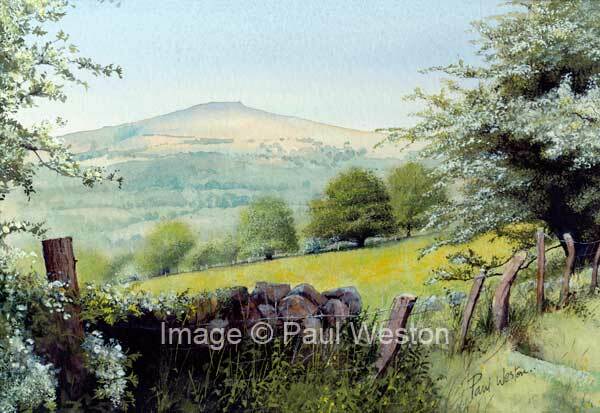 These Giclee prints from watercolour originals are produced with pigment inks on 100% Cotton Somerset Enhanced textured papers, individually titled and signed. These prints are supplied unmounted. 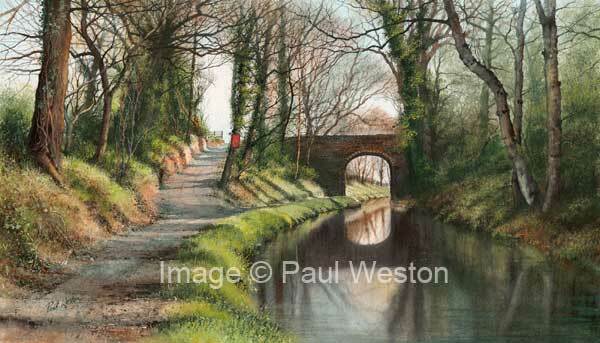 Click on any image or the link below it to see a larger version of the print. Pen y Fan in the Brecon Beacons, Powys, South Wales. Cwmbran Tunnel, on the Monmouthshire & Brecon Canal, Torfaen, South Wales . The Sugar Loaf from Llangynidyr, near Abergavenny, South Wales. 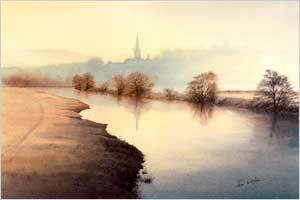 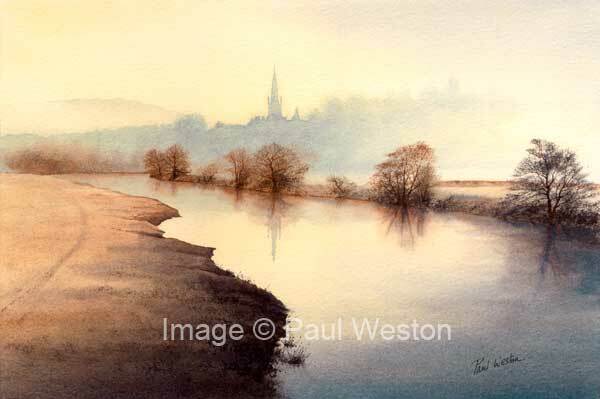 Early morning mist over the river Wye at Ross on Wye, Herefordshire. 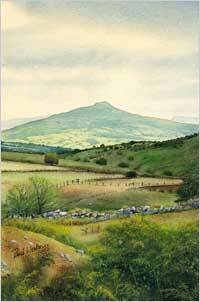 A study of the Sugar Loaf mountain from Gilwern, near Abergavenny, South Wales. The High Bridge, Mamhilad on the Monmouthshire & Brecon Canal, near Pontypool . Llanfrechfa Church in the snow. The wave cut platform at Southerndown, on the Glamorgan coast. 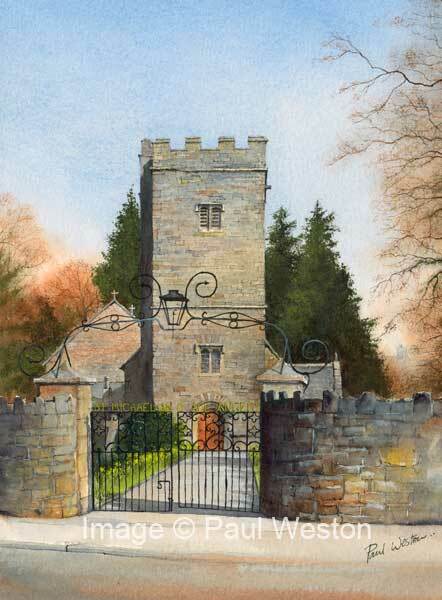 Llanover Church, near Abergavenny and Pontypool, South Wales. 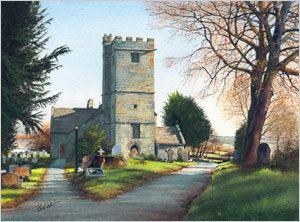 Holy Trinity Church, Pontnewydd, Pontypool. 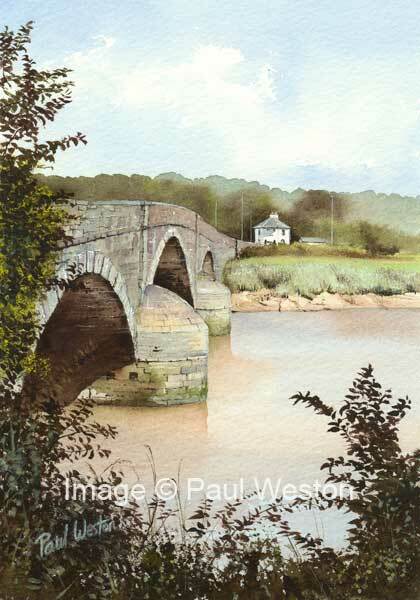 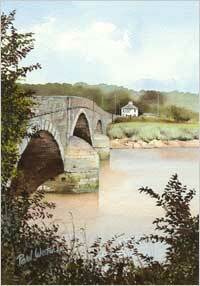 The river Usk bridge at Caerleon, near Newport, South Waless. 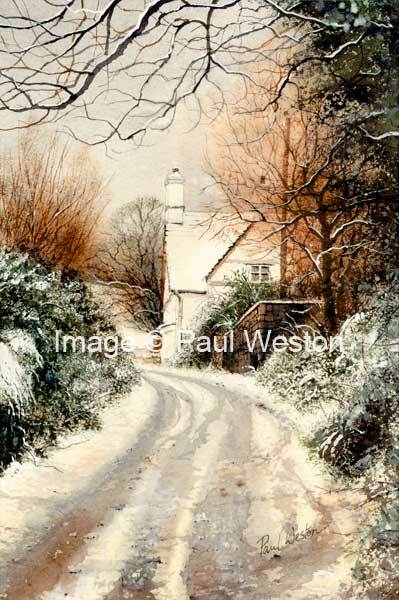 Melting snow in a country scene near Cwmbran, South Wales.